Along with a bit of Southern Hospitality and his personal greeting, Lafayette,LA dentist Ken S. LeBlanc,DDS welcomes patients to the office. Positioned within the heart of Cajun country, Dr. LeBlanc continues the tradition of good, quality dental care which his father, Dr. Andrew LeBlanc, started more than seventy years back. 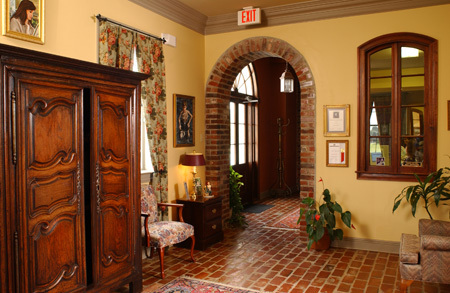 Upon stepping into the Lafayette dental office, patients may feel a sense of the Old South within the furnishings and décor, but in no way is it an old-fashioned dental practice. This is where cosmetic dentistry has turned out to be an art. Just as a gourmet chef needs the proper ingredients and cooking utensils to create a savory soufflé and a painter needs the correct canvas, brushes and paint to create a masterpiece, cosmetic dental work also requires distinct training and the proper tools. Offering the latest within cutting-edge procedures and technology, Dr. LeBlanc and his dental staff tend to be smile artists in each and every sense of the phrase. They are able to change the average smile into a bright, beautiful smile. For individuals to choose a doctor appropriate to their needs there must be a match between the services searched for by the patient and the services supplied by the dentist office. If the value an individual possesses for their teeth and health correlates with the practices’ beliefs within prevention and fine dentistry, a mutually gratifying relationship should develop for both parties. On the very first visit to the practice, the receptionist will review a questionnaire with the patient and answer any questions they may have. She will also go over their dental and medical histories. After that is completed the patient will have a thorough dental examination with Dr. LeBlanc. Dr. LeBlanc will provide a treatment plan designed for the patient’s optimal dental health. All aspects of the treatment plan will be discussed, and any questions or concerns will be answered. We provide our patients with top quality, long-term dental health care. Some of our key dental services and treatment include veneers, bonding, sleep apnea, implant restoration and more! Before and After photos of actual patients of Dr. LeBlanc who received restorative and cosmetic dental services. With cosmetic dental work, we will help your smile light up any room you enter. A proud native of Lafayette, Louisiana, Dr. Ken LeBlanc draws on his 39 years of dental experience to craft impeccable smiles for his patients. Dr. LeBlanc sees himself not only as a highly trained dentist, but as an artist, creating beautiful smiles on the living canvasses of his patients lives.